If you live a long way from your nearest airport or have a very early departure or late arrival, you might want to consider booking a room at a hotel near the airport. Not only will it guarantee an extra few hours in bed but it can also be an economical way of parking your car too. If you are not quite sure how it works, have a look at our handy guide, which answers some of the most commonly asked questions. Do all hotels situated near the UK’s leading airports offer parking? Is parking normally free to guests staying at an airport hotel? There is normally a charge that is usually included in the hotel room rate but is often a real bargain. Transfers from the hotel to the airport are sometimes included in the room rate too but sometimes charged separately, with a typical adult price for Heathrow being £4 each way and at Birmingham £5 for a return fare. How does it work if you only spend a night at a hotel before your trip but need to leave the car parked for another week, until your return? That’s absolutely fine although, if you are going on a round-the-world holiday of a lifetime, you should check when booking to see whether there is an upper limit on time allowed. Parking for the duration of your holiday can often be a pretty good bargain. For instance, a popular chain of hotels only charges £25 more to park at Gatwick for two weeks than it does for one and the price difference at Manchester is a mere £6. 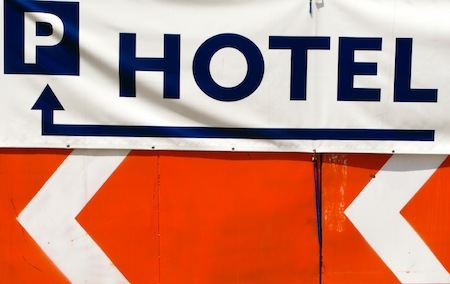 Can I park the car at a hotel without a hotel room booking? We’re afraid not! If you try to bag a cheeky free parking space you are liable to be towed away. Are hotel car parking facilities under cover, secure, fenced off and covered by CCTV? Again this all depends on which airport you are using and which hotel you have booked. Many hotels simply do not have room for all their guests’ cars and so move them to an off-site car park. If security is important to you then make sure you ask for full details at the time of booking. The gold standard for secure car parking is the Park Mark so, if possible, opt for a hotel which uses one of these accredited car parks. If you have a car parking quote from the hotel of your choice, it might still be worth running a parking price comparison on our site, you never know! You can also check the Gatwick Airport hotel + parking deals available on our partner site. I love finding bargains online, whether it's fashion, kids products or travel deals. Also into blogging, SEO, digital marketing and all things Lithuania-related! The gold standard for secure car parking is the Park Mark so, if possible, opt for a hotel which uses one of these accredited car parks.